This unprecedented ACT is not for immigrants, especially those who are within the borders of the United States without the official permission from the proper federal authorities. Section 1: Granting Citizenship “As is enjoyed by White citizens”. States that the former slaves emancipated on January 1,1863 by the late President, Abraham Lincoln, and freed by the federal government’s military victory over the Southern Confederates, and slavery abolished in the United States by the 13th Amendment, technically have citizenship “as is enjoyed by White citizens” according to the edict of the 14th Amendment. Unfortunately, while the technical citizenship is a reality, such a “as is enjoyed by Whites citizens” has been the experience for the Emancipated Slaves-Freedmen as a whole and is yet to be manifested. 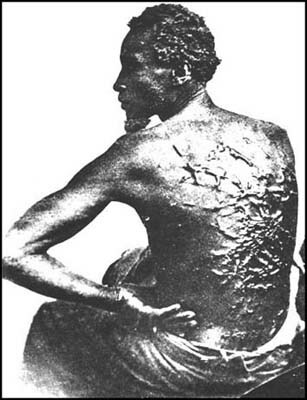 Immediately after the Civil War ended in 1865, and beginning in 1866 there was Democratic obstruction to the freedom of the former slaves by racist legislation against them called the Black Codes, along with terrorist attacks from the KKK. Ironically, immigrants coming to America fleeing their homelands due to religious, economic, political, military, social oppression, tyrannies and/or simply seeking an improved lifestyle, via the vaunted American Dream, arrived on these shores without any regard for the fate of the Emancipated Slaves. In fact, many new immigrants often joined the chorus of older generations of immigrant White supremacist in continuing the suppression of Blacks. All of this behavior is in direct violation of the US Constitution because it impedes the road to citizenship “as is enjoyed by White citizens” for the Emancipate Slaves-Freedmen. Ironically, it is the Emancipated Slaves-Freedmen peoples who unlike the vast portions of the immigrants, especially post Civil War, have been under the JURISDICTION of the United States since July 4,1776, and prior to that, the British Empire, therefore having the great and only STANDING for special Constitutional protection and not illegal aliens. Section 2: Warning To All Government Officials. Note again, that the American folks to whom this Constitutional mandates is ordered are those who were in actual slavery or involuntary servitude. For the sake of clarity and making no mistakes as to whom this mandate is for, they are identified as peoples of the colored race, which are from West Africa, clearly a Black skin people in the midst of a White or Caucasian dominant society. “Colored” is the identification of people who are descendants of enslaved Black West Africans and no others including Native Americans – Indian who are spoken of in a separate context…not illegal aliens from Mexico, Central or South America, nor anywhere else or nationality, who unlike the slaves came willingly into the United States, 189 years after the nation was born on July 4,1776. In fact, Hispanic/Latino are two terms that have nothing to with being a “colored” peoples. This Constitutional law was legislated for emancipated slaves, not illegal aliens nor legitimate immigrants. And be it further enacted, That any person who, under color of any law, statute, ordinance, regulation, or custom, shall subject, or cause to be subjected, any inhabitant of any State or Territory to the deprivation of any right secured or protected by this act, or to different punishment, pains, or penalties on account of such person having at any time been held in a condition of slavery or involuntary servitude…or by reason of his color or race, than is prescribed for the punishment of white persons, shall be deemed guilty of a misdemeanor, and, on conviction, shall be punished…in the discretion of the court. Special Note: The most dangerous element of the illegal alien civilian invasion of the United States is the twisted use of the 14th Amendment as the support for Anchorism which will destroy the Emancipated Slaves and the New Nation along with them. There is no Congressional Act to end or alter the provision of the 14th Amendment and its codified in to the Constitution progenitor, the Civil Rights Act of 1866. Therefore, according the Section 2, all ordinances and/or statutes, regulations even perhaps Supreme Court rulings, and mere customs which Anchorism is, has NO STANDING whatsoever, thereby rendering them null and void. This is especially true in light that the Emancipated Slaves-Freedmen and their succeeding generations since the end of the Civil War to the present have never fully actualized their “equal justice under the law” citizenship “as is enjoyed by White citizens”, but rather have led all other ethno-racial groups in the New Nation in nearly every negative social statistic. States that federal District and Circuit courts are to be made aware of any violations of the ACT that provides citizenship “as is enjoyed by White citizens” to the Emancipated Slaves. Also, it designates a special bureau under the auspices of the President and the US Military to specifically help to enforce the ACT that protects the Freedmen from abuse by those who would impede their citizenship and that of their descending generations. Section 4: The Federal Courts, the Freedmens’ Bureau and Its Agents, Special Presidential Officers. States that along with the federal Courts actions and those of agents of the Freedmens’ Bureau against violators of this ACT, are others officers who are specially (out of the norm) empowered by the President to institute proceedings against all and every person who violates it. States that federal marshals, their deputies and/or commissioners have the authority to enforce the ACT against anyone who violates it, even to the point of being empowered to enlist the bystanders, posse comitatus and the US Military itself! Section 8: The Special Power of The President of the United States. States that upon being convinced that violations are being committed against this ACT, the President can at his own discretion without the Congress direct the marshals, commissioners et al to be even more aggressive in executing swift judgment against anyone who violates it and bring justice to the offended Freedmen. According to Section 8 of the 1866 Civil Rights Act, this is the opportunity to do what must be done to rectify the situation before our New Nation is lost.